You are here: Home / Coaches / Leticia Meza-Casarin, B.S. 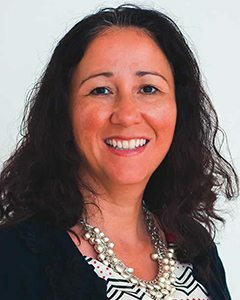 Leticia Meza-Casarin joined Talent Plus ® in 2005 and manages Talent Plus’ team of binary analysts who work from satellite offices around the United States, while also consulting with clients to provide support for the development of employees within their organizations. She also provides written and verbal feedback for managers and their teams with a focus on strength management. As part of Talent Plus’ team that services clients in the Latin-American region, Meza-Casarin provides client support, builds partnerships, helps clients in selecting talented people into their organizations and coaches others to help them develop their strengths. Over the years, she has been instrumental in helping manage Talent Plus’ internal mentoring program, an initiative committed to mentoring our associates to help them develop and grow in their understanding of the various disciplines within our organization. Prior to joining Talent Plus, Meza-Casarin worked in the financial industry as a home mortgage consultant and personal banker. Her project management expertise was honed while working as a project manager with regional advertising companies. Meza-Casarin studied business at the University of Nebraska – Lincoln and at Doane College. A former commissioner at Lincoln-Lancaster Women’s Commission, she serves as a volunteer at Cristo Rey Catholic Church working with youth as well as with the church’s finances and annual fundraising. She and her husband, Pepe, have two children.